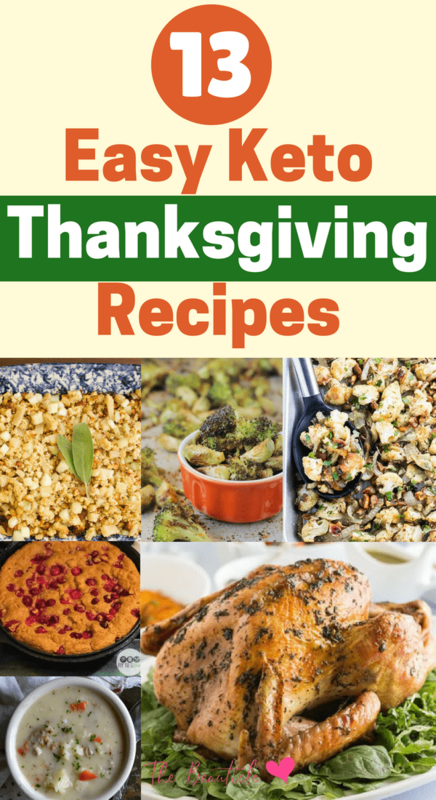 Looking for keto thanksgiving recipes? This article rounds up some delicious and eye-catching dishes whether you want keto appetizers, low carb side dishes or maybe some keto desserts. Big holidays can be stressful for anyone who follows any kind of limiting diet since the holidays tend to be about lots of indulgence. 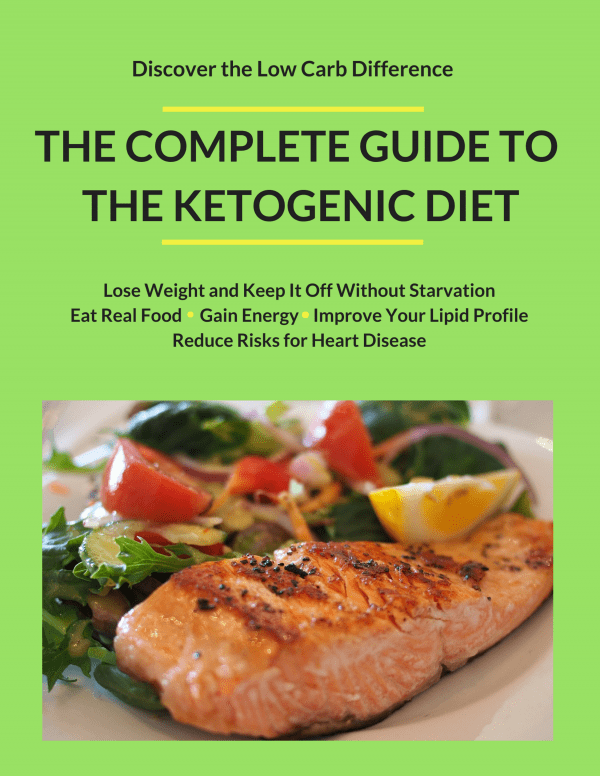 Thankfully, the keto diet has a wide range of allowed foods making it really easy to stick to your low carb diet while eating some of your favorite foods. Check out some of these keto thanksgiving recipes that everyone at your table will love, keto or not! Of course we start with the turkey! It’s the star of the show at many thanksgiving tables and can be made to be just as delicious and tasty even when you’re following a ketogenic diet. 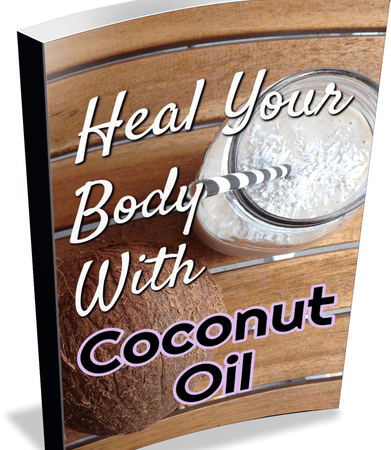 This is a simple recipe that anyone can master. 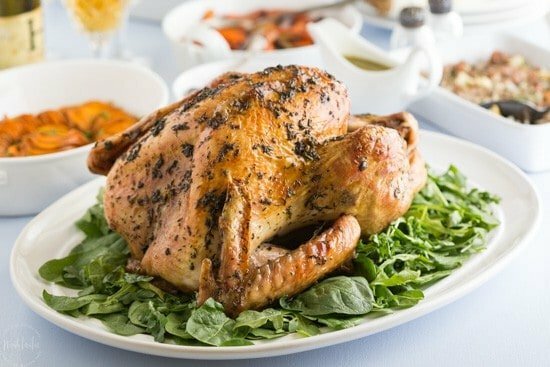 If you’re looking for something tasty with as little fuss as possible for a stress free holiday period, try this recipe for your keto thanksgiving turkey. Recipe here. Perhaps you’re more of a thanksgiving chicken person. 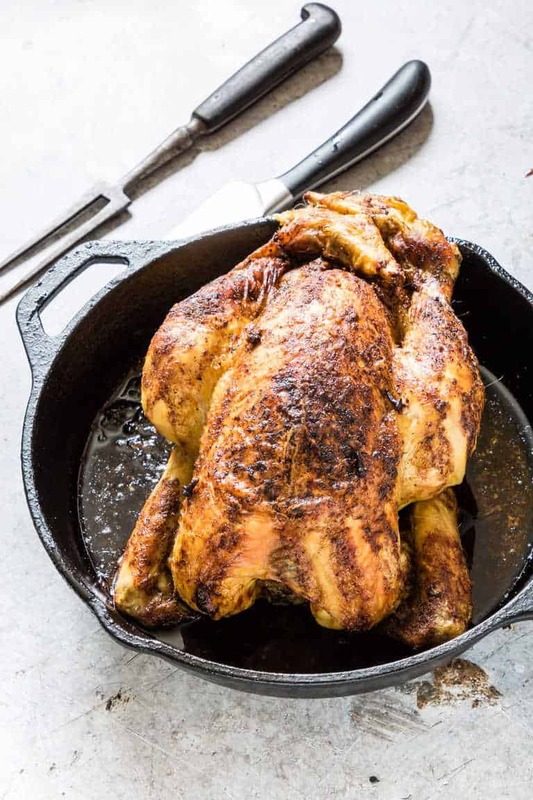 This cast iron roasted chicken sears up beautifully with a crispy skin and would look lovely as your table’s star player. Give this one a try. Recipe here. It’s Thanksgiving after all. 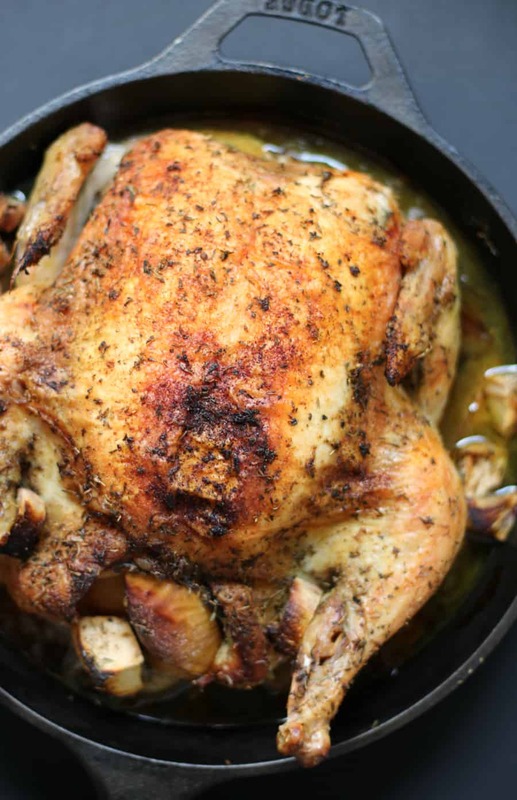 Add some flare to your cast iron chicken recipe with this Nutmeg Orange Chicken. The spices and citrusy flavor will surely add a festive touch to what is already a delicious family favorite. Recipe here. Where there are Thanksgiving birds, there will be stuffing! 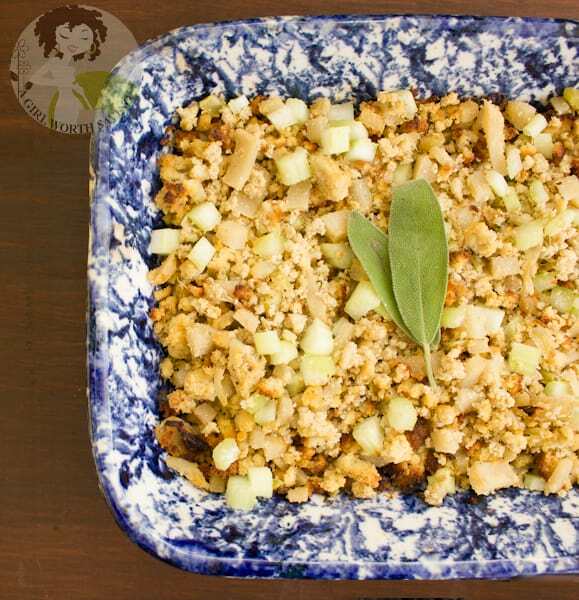 Thanksgiving stuffing is usually made up of lots of carbs, can a low carb keto thanksgiving stuffing be just as delicious? These recipes dare you to try them out. 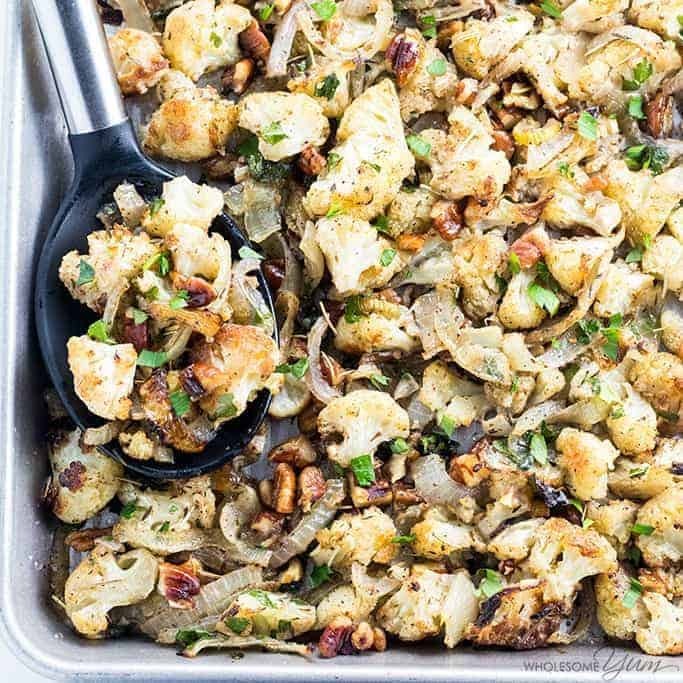 Cauliflower is used as the base for this keto stuffing recipe. Cauliflower is low carb and known to be very versatile, taking on the flavor of whatever it is seasoned with. It will also give you that mouth feel that you’re looking for in your stuffing. Give it a spin and make it your own. Recipe here. 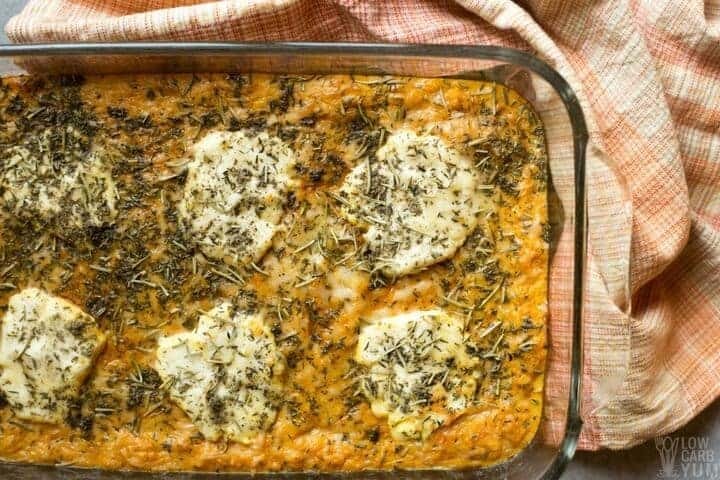 This keto thanksgiving recipe uses a coconut bread base and lots of spices and veggies for a more exotic flavor. Try this unique recipe here. 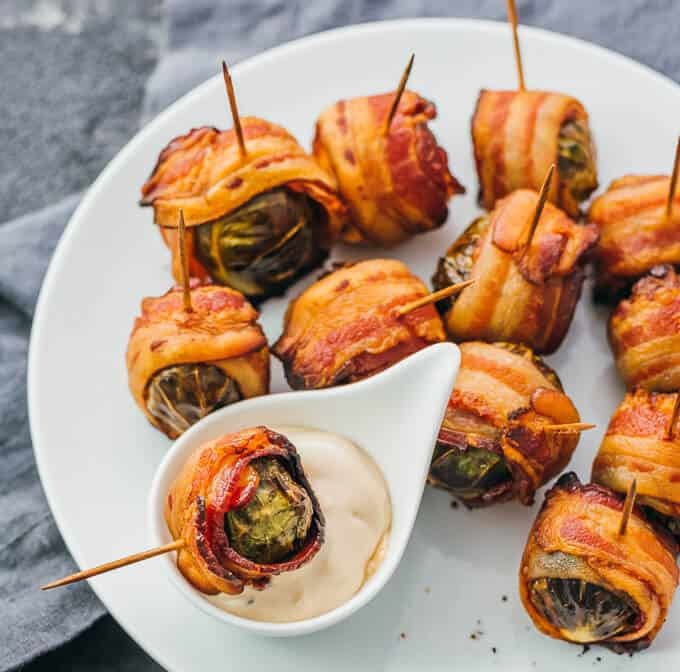 These keto appetizers may just steal the show and calm anyone who’s used to more indulgent thanksgiving dishes. With lots of bacon, cheese and varied flavors, they will set the stage for a healthy yet satisfying Thanksgiving meal. 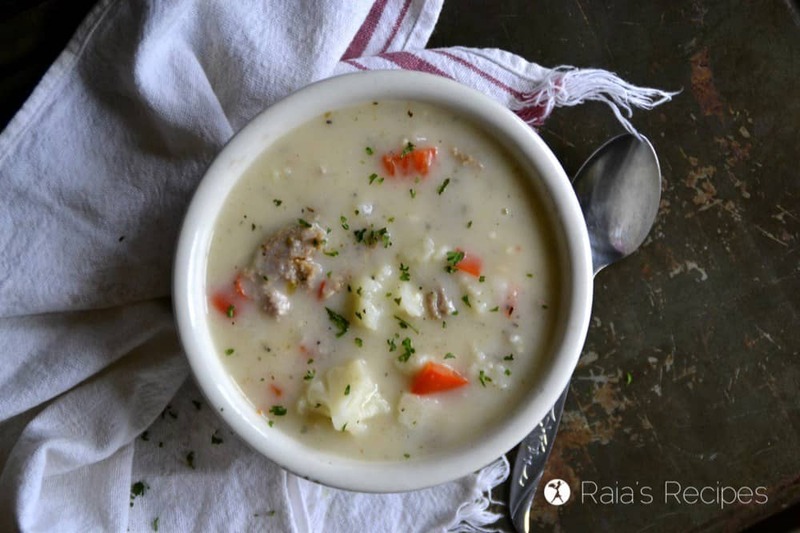 If you’re looking for a soup started, this soul-warming recipe is it. It’s creamy and spicy and looks good enough to be called comfort food. Recipe here. 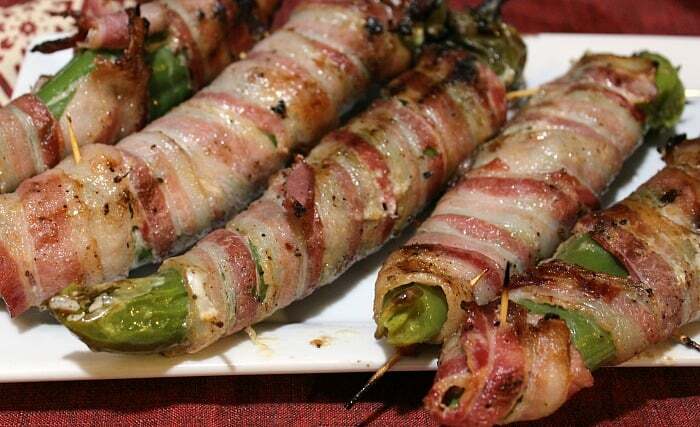 Wouldn’t you eat more vegetables if they always came wrapped in bacon?! More bacon please! Recipe here. Speaking of more bacon, whether you’re a brussels sprout or a stuffed pepper lover, bacon and cheese just makes everything better. When you told them you’ll be serving healthy keto thanksgiving dishes, I bet they didn’t picture this! Recipe here. Your turkey or chicken will need some sides to go with it and that’s where we tend to reach for some unhealthy carbs. These keto side dishes have your back! In the Fall, it’s pumpkin everything, Thanksgiving side dishes included! If pumpkin usually only appears on your dessert menu for Thanksgiving then you’ll want to check out this savory pumpkin casserole. Recipe here. Simple, healthy and delicious, these roasted veggies will satisfy the strictly vegan at your dinner table. Roasting veggies brings out the sweetness and depth of their flavors and make a perfect side dish at Thanksgiving. Recipe here. 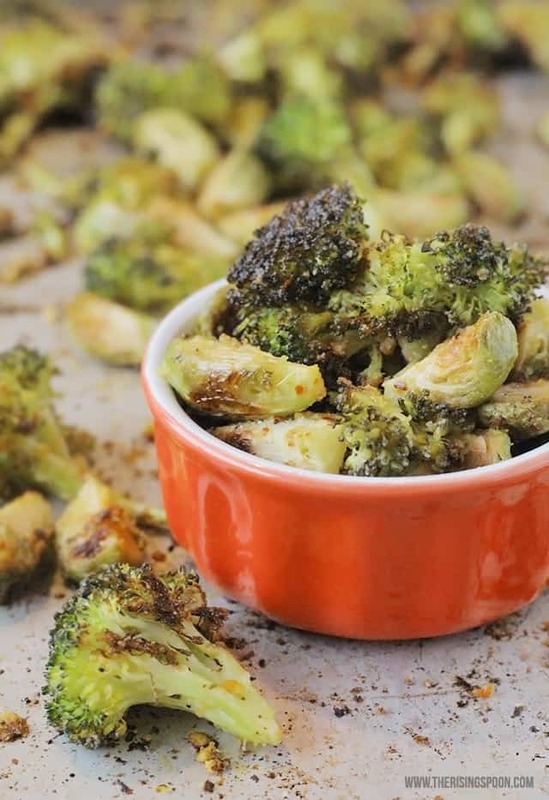 Here’s another vegetable based side dish that will make vegans or dairy-free eaters happy. Simply omit the feta if you wish. 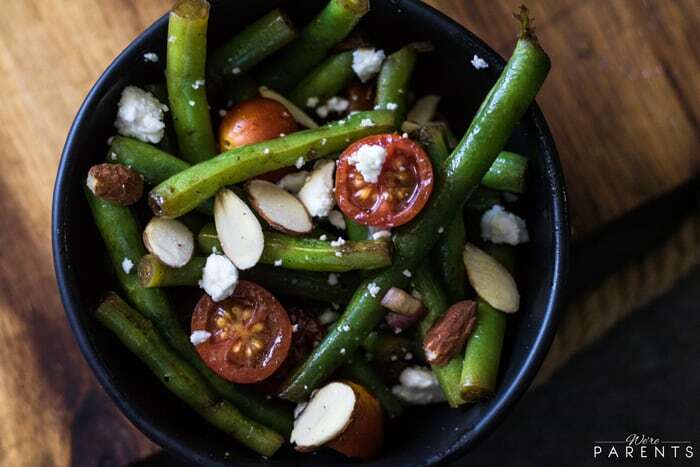 Green beans get a fresh update in this side salad dish. Recipe here. Keto dieters won’t be left out of the sweet indulgence after dinner with these keto Thanksgiving dessert options. 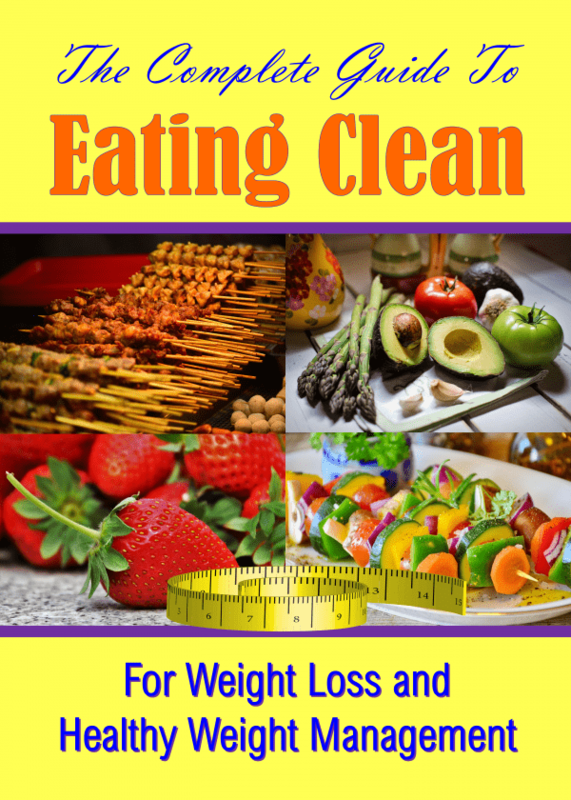 Stick to your low carb goals and lose weight even on Thanksgiving while still satisfying your sweet tooth. Who doesn’t love a good pumpkin pie?! The good news is that when following a keto diet, you can still have this favorite Thanksgiving keto dessert and it will be just as good, from the looks of it. 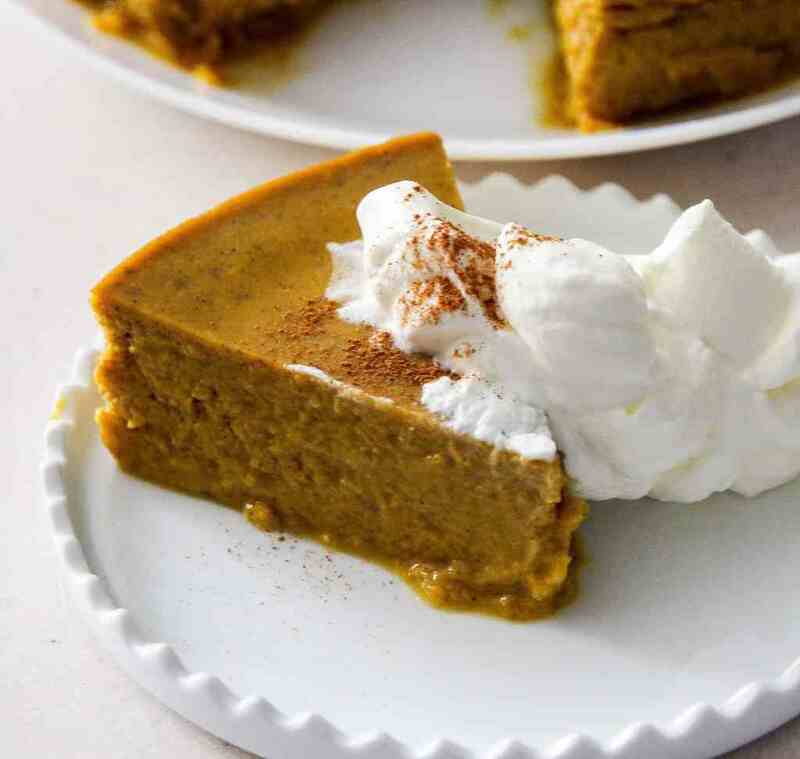 Bonus points that this pumpkin pie can be made in a pressure cooker like an Instant Pot. One less thing to worry about. Recipe here. 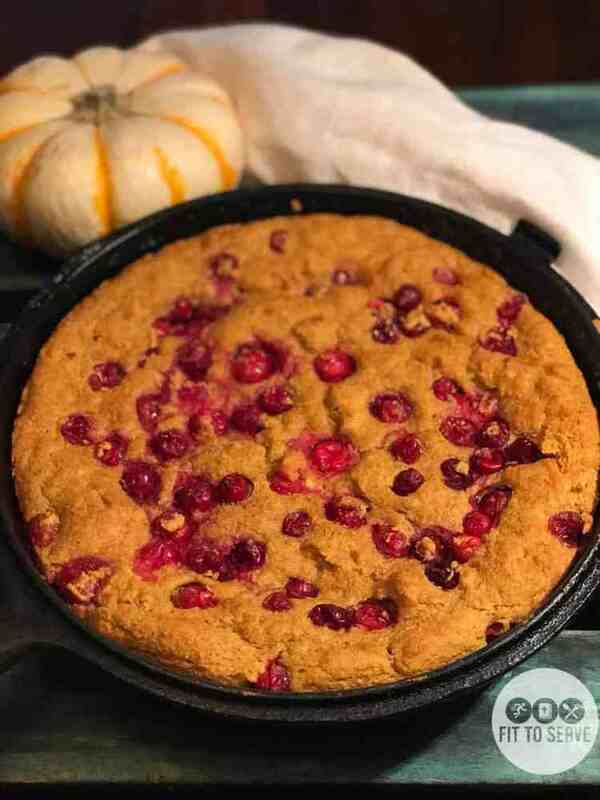 This skillet cake blends all Thanksgiving dessert faves together in one easy-peezy recipe. Recipe here.